Where is a dentist near me for the best dental technology? Look no further. 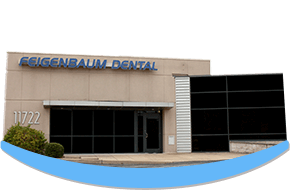 Feigenbaum Dental strives to provide the best dental care to create beautiful smiles using a gentle touch. To fulfill our mission for superior care, we offer our patients the most advanced dental technologies. With technology constantly changing, we embrace the evolution of technology to provide our patients with comfortable care and unmatched results. Our modern dental practice proudly offers three of the most patient preferred technologies: the intraoral scanner, laser dentistry, and digital x-rays. With the best technology by our side, you will benefit from the best dental care available. We offer our patients the 3Shape TRIOS® Intraoral Scanner to enhance the patient experience overall. This finger-sized scanner often eliminates the need for impressions to provide a quicker, more comfortable dental appointment. The scanner is easy to use, allowing us to have clear, accurate digital impressions of your teeth without the mess or discomfort of traditional impressions. The scanner easily fits into your mouth to scan an area. Then, the images are sent to our in-office software for immediate viewing. The highly-detailed images provide us with more accurate information than traditional impression. This leads to greater accuracy and the precise fit of your final restoration such as a crown, inlay or onlay. With the use of a laser, we eliminate the need for scalpels and sutures for many common dental procedures, such as periodontal therapy. The small lasers allow us to target a specific area of tissue, minimizing damage to healthy tissue. With the laser cauterizing and sterilizing the area at the same time, you have less risk for bleeding and infection. Best of all, you will have a quicker recovery time with less discomfort. We can use the lasers for a wide range of treatments needed on soft tissues. No matter if you have gum disease, a canker sore, or need cosmetic gum tissue sculpting for uneven gum lines, laser dentistry provides safe, comfortable, and effective treatment. Among one of the greatest dental advancements to come to our office are digital x-rays. Digital x-rays are a safer alternative to traditional x-rays while also providing us with more detailed information. Now, you no longer need to bite on uncomfortable films and then wait for the film to be developed. Your images are taken without any discomfort and are available for viewing immediately. Digital x-rays use far less radiation than that of traditional x-rays while providing us with highly detailed images. These images can then be easily stored in our data base or shared with your insurance company. Overall, digital x-rays simplify dental care while promoting high-quality care. As a dentist in Creve Coeur, we take your comfort and your quality of care seriously. We value the time you spend in our office, which is why we strive to provide the best dental advancements available. With state-of-the-art technology and a highly skilled dental team, you will benefit from the best when choosing Feigenbaum Dental. Contact our office today to experience the best dentistry has to offer at your next appointment.